The director Dr.Zushi worked in an ophthalmology special hospital between Fukuoka and Tokyo for many years. We take pride in thoroughly examining each and every patient under our care. A method which would be thought as the best medically, may not be the best for the patient. As an ophthalmologist, when we treat patients, we always think what is best for him/her. 1989　Graduated from Tokyo Women's Medical College. 1991-1995 Worked for Incorporated Association Inoue ophthalmology Hospital. 1995-2005　Worked for Medical Corporation Matsui Society Oshima Ophthalmology Hospital. 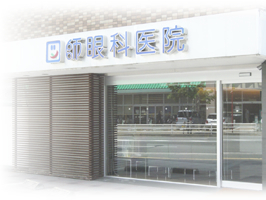 2005　Open Medical Corporation Takumi Society Zushi Ophthalmology Clinic. 1994　Graduated from Saga Medical School. Entered medical station of Fukuoka University Hospital Ophthalmology as a Doctor. 1995 Worked for Wajiro Hospital Ophthalmology. 1996　Worked for Fukuoka University Hospital Ophthalmology. 1997　Worked for Oshima Ophthalmology Hospital. 1999-2005　Worked for Medical Corporation Kenei Society Hayashi Ophthalmology Hospital. ●Medical treatment in English is possible. 1996　Graduated from Fukuoka University medical department. Worked for Fukuoka University Hospital. 1999　Worked for Karatsu Red Cross Hospital Ophthalmology. 2001　Worked for Murakami Krindo Hospital Ophthalmology. 2003　Worked for Yahata Saiseikai Hospital ophthalmology. 2005　Became a Medical Director of Yahata Saiseikai Hospital Ophthalmology. 2007　Worked for Nagamatsu Ophthalmology Hospital as an acting Director. 1994　Graduated from Fukuoka University medical department. 1995-2001　Worked for Fukuoka University Hospital. 2002　Worked for Fukuoka Red Cross Hospital. We support the health of patient’s eyes with care and consideration which only women doctors can do. All doctors are women including the director, we are very friendly and try our best to explain something in a way which is easy to understand. We have a lot of experiences in regards to pediatric ophthalmology, such as a squint and amblyopia. And is available in our doctor's office. We have 2 professional Orthoptists who has national qualification(s) and they will support the health of children’s eyes. Orthoptists are in the specialty of examining patients with medical equipment, and perform rehabilitation for the patients who have functional disorder. We have supported a lot of children’s eyes. We try to take the fear and worries away from children. We always strive to make the children feel comfortable while they are medically treated. By the cooperation with the ophthalmology special hospital, we can provide appropriate treatment immediately. After graduation of Tokyo Women’s Medical College in 1989 and 2 years of training. The director worked for Inoue Ophthalmology Hospital in Tokyo for over 4 years. Ongoing, she worked for Oshima Ophthalmology Hospital in Fukuoka for 10 years and opened her own clinic in 2005. For now, she uses the most of her experience and accept the introduced patients from Tokyo Also, we introduce patients having difficult correspondence at the clinic to the specialist of the Oshima Ophthalmology Hospital. Therefore, we provide the system in which patients can receive appropriate treatment. In addition, there is Nakagawa Hospital which does surgery every Wednesday and a local representative hospital of 24 hours is located nearby. Therefore, even if a patient who holds a systemic disease, he/she can be operated on at Nakagawa Hospital. We have a spacious, clean, and well kept clinic which provides a relaxing experience for the patient. Our doctor's office offers a barrier-free design which can help reduce stress for patients and provide a comfortable environment. ●	4 parking lots are available.